In 2006, Jung Design completely reformatted this magazine. The current layout, typography, color palette and graphic treatments better organize and showcase the school’s information and opinion pieces. 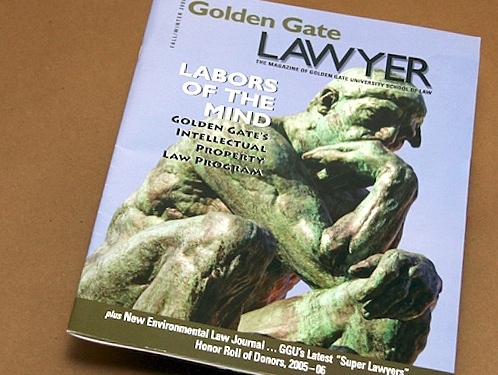 We are confident that Golden Gate Lawyer rivals any peer law school publication in content and presentation.